Due to an unexpected work related trip I have to postpone the event to the week after. An essential skill for cooking is using a knife properly. Not only do you not injure yourself, but getting better with a good knife increases your confidence, impresses your friends or spouse and makes it more fun to take the time to prepare a meal. Beginning cooks that want to learn how to cut safely and regain the joy of cooking. Then you can take all the ingredients home for a nice sunday evening stew! 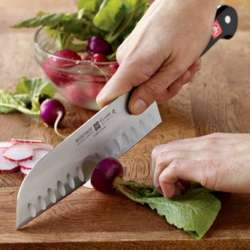 -A big knife (I prefer bigger knives like a Santoku, please don't bring a peeling knife)- We can sharpen them if need be.